When you are going through the divorce mediation process in Chicago, there will be a lot to consider. At the same time, there will also be lots of things that you can ask to be resolved or solved throughout your divorce mediation as well. To get the most of out of your divorce mediation process in Chicago, it will be important that you are willing to put the time and energy into the process that it requires in order to reap the most benefits possible from having a divorce mediator walk you through your divorce. Putting the time and effort that is required for the process now will help you and your spouse both have better lives that you can both live with after the divorce process is complete and finalized. What Documents Will the Chicago Divorce Mediator Ask Me To Provide? Gathering this documentation is essential to giving the mediator a full picture of your marriage and situation so that they can handle the divorce case fairly as possible for all parties involved. Collecting this information is also the most cumbersome part of the mediation process, but it's vital to giving the Chicago divorce mediator proper information so they can help you both reach a settlement that works for everyone. What Should I Expect Of The Chicago Divorce Mediator Once Information Is Provided? 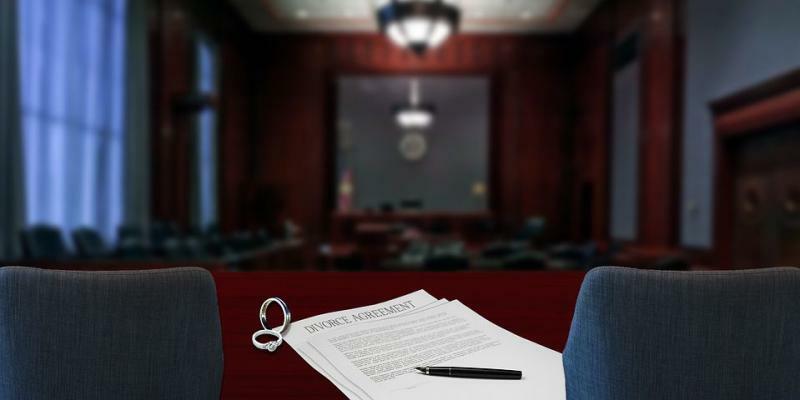 Once you provide the aforementioned information and any other information that is requested by the mediator, you will be prepared to begin the divorce mediation process in Chicago. When you are going through the mediation process, you will want to ensure that you get all of the information from the mediator that you possibly can to help you come to a satisfactory conclusion that meets both you and your spouse's needs. Consultation and Scheduling: A free phone consultation with your divorce mediator and each spouse will determine the fixed pricing plan that is right for your divorce. You will then schedule your first mediation appointment at a time and location in Chicago that works best for you. Mediation Preparation: Before the first session, your Chicago divorce mediator will provide you with a checklist outlining your mediation topics as well as relevant documents. We will ask you to complete a financial questionnaire, and your mediator will use this information to prepare a preliminary analysis of your estate. Mediation Sessions: Two, one hour mediation sessions facilitated by your divorce attorney mediator will guide you through the allocation of your assets and debts, (where applicable) parenting plans, estimated post divorce after tax cash flow and much more. Mediation Replay: Following each session with your divorce mediator, you will receive a copy of your proposed asset and debt allocation as well as a summary of the topics discussed and tentative agreements reached during mediation. Review: Your mediator will prepare a comprehensive “Separation Agreement” and (where applicable) “Parenting Plan” as well as all relevant court documents. You will review all documents with your divorce mediator so you understand what you are signing, before you sign it. Your Guarantee: You will leave the final document review session with all the necessary documentation to finalize your divorce. Once signed, the documents can be submitted to the courts, and you will also be provided with Split SImple’s “guaranteed Court Acceptance”, meaning if the Judge doesn’t immediately accept your documents, there are no additional charges in order to achieve court approval. What Are Some Common Concerns With Mediation? My Spouse Is Very Powerful & Will Overpower Me In This Process: The mediator's job is to let neither party overpower the other party. They give time to both parties to ensure that you and your spouse are heard out and completely able to express your opinions, thoughts, needs, and desires to each other to help the process move forward smoothly. Allow the Chicago divorce mediator to intervene and don't let your spouse overpower you under any circumstance. Both parties are equal in this process, so stand up for yourself and your rights to be heard as well. Attorneys Can Be Involved, Too: There is no substitution for seeking an attorney's advice throughout the divorce mediation process. You should each have independent lawyers that can represent your case and side in the divorce settlement. My Case Is Too Complex For Mediation Services: You may feel that your case is too complex for a mediator to handle, but that is far from the truth. No case is too complex for mediation to be had. Considering that almost 40-50% of marriages in the US end in divorce, your case has likely been heard before and will be heard again. Allow the divorce mediators to handle the case in the way they know how and let it be resolved to the best interest of everyone involved. We Will Never Agree On All Issues: The point of a mediator is to seek a compromise between both parties to come to a conclusion everyone can live with. The divorce mediator will help you come to that conclusion so everyone can live with the results of the separation. Remember, you may not like every single conclusion that is agreed to, but sometimes you will have to give some to take other things. Remember what is most important to you and stand up for that, allow other things to slide. In the end, both sides must compromise for this to work out. These are a few things to keep in mind when navigating the divorce mediation process in Chicago. Considering how many divorces happen in the US each year, your case has been seen before and will likely be seen again. Remember, the ultimate goal of a divorce mediation is to come to agreeable terms with your spouse as to how things will be moving forward after your divorce. It will be vital that you give up some things to get other things that are the most important to you. Prioritize what matters to you both versus each individual and reach a conclusion that satisfies both parties as much as possible. Allow the mediator to do their job in helping resolve the conflicts in the process to allow everyone to move forward in the best situation possible. That is the point of mediation and the job of the person intervening in your case. To make it work as best it can you will both have to be open, mature, and express yourselves as well as you can to allow your Chicago divorce mediator to help you both resolve your case as best you can while you both move forward.